A gift voucher that any North London pub lover will ADORE! The Stag is a magical North London pub. 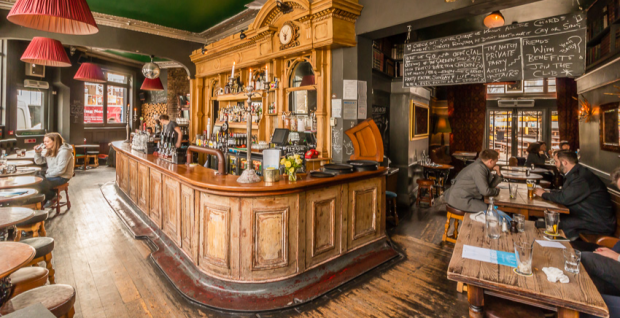 It's just a 5 minute walk from Belsize Park tube station, and has a great drinks list, super tasty fresh, seasonal pub food, an awesome private party room & an even better beer garden. The vouchers are redeemable for food + drink, they must be redeemed in full + are NOT available for take out or delivery orders. The vouchers are non-transferable and are valid for 6 months from the date of issue. Hello - we look forward to welcoming you to The Stag to redeem your voucher! 1. You must print off your voucher and bring it with you to redeem it. 2. Your voucher is valid for 6 months from date of issue. 3. You must use the voucher in full on your visit. It cannot be exchange in full or in part for cash. 4. We take reservations, so please visit www.thestagnw3.com or email us at thestag@londonpubs.com to book yourself in! The Stag vouchers are to be used once, in full. They cannot be exchanged or transferred. This voucher can be redeemed once only. Voucher is only valid for the experience listed above or the monetary amount stated, in exchange for services of equivalent value. This voucher can not be exchanged for cash. Subject to availability. The voucher can only be redeemed once. The voucher will not be redeemed after the expiry date. The voucher cannot be used in conjunction with any promotions, and is not valid for take away or delivery orders.